Being a private, family-owned business, Waverley Station has the ability to adapt quickly to changing markets and climatic conditions. Our people are our best asset and we feel fortunate to work alongside some of the best cattlemen and grass producers in the world. Our business has a simple management structure with a senior role for NSW and King Island entities. George returned to the family owned business in 2015, bringing with him 15 years of business experience across a range of sectors; most recently as a Senior Director of Zip Industries, a role which has given George the management experience required to run a large-scale business. With his eyes now firmly focused on the agricultural sector, exciting challenges lie ahead to take the business to new levels and open up new markets. 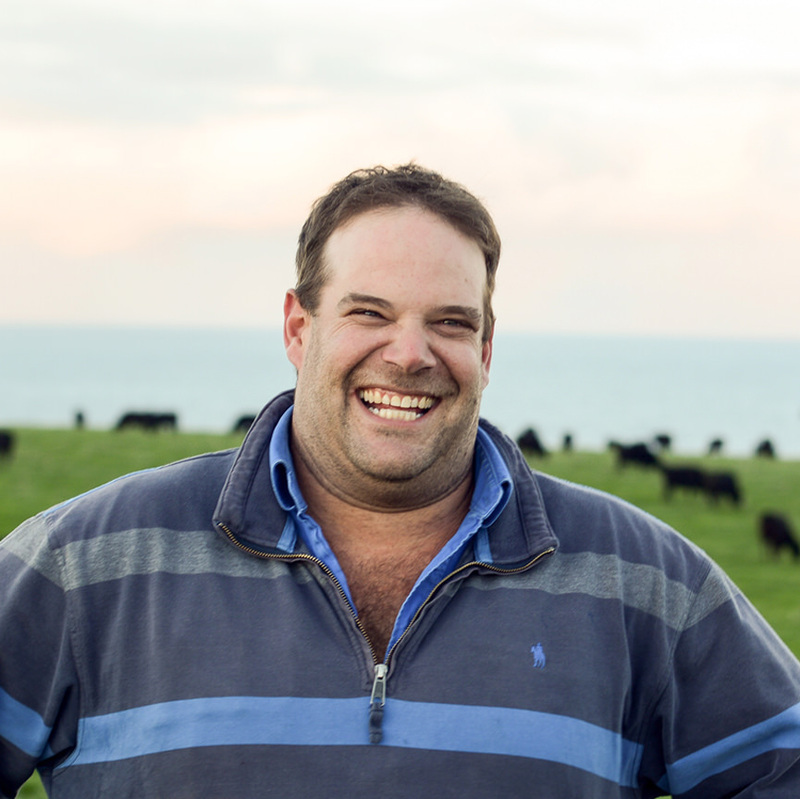 Jamie was born and bred on King Island and has always been focused on agriculture and cattle. 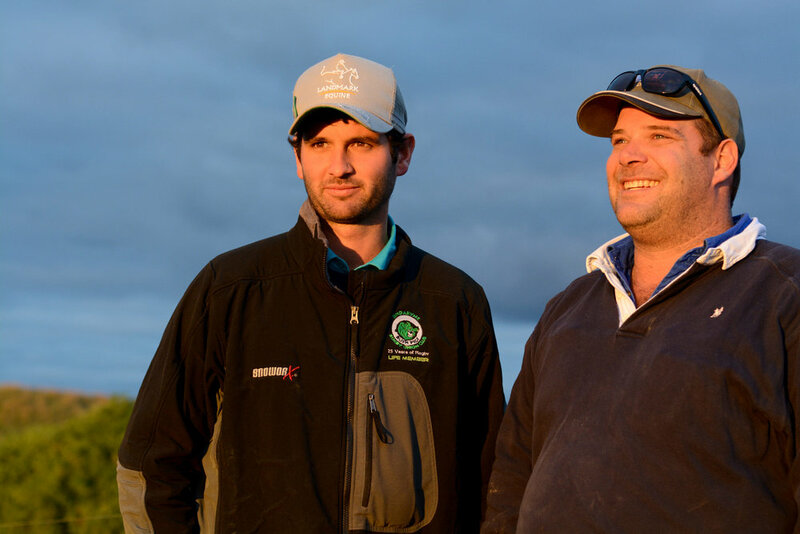 With an innate feeling and knowledge of King Island and its specific agricultural techniques and requirements, his knowledge of the land has allowed us to produce a consistent, high-quality, Angus beef article. When not admiring his clover paddocks, Jamie can be found thirty nautical miles west in the Bass Strait, attempting to hook an elusive Blue Fin tuna. Heath joined the business in 2005 and his passion for cattle and pasture - and respect for his colleagues - saw him take on the role of managing our NSW operations. Heath works closely with Jamie to ensure the southern arm of the business is supported in every way possible. His skills are evident through the quality of Angus cattle bred on Waverley NSW each year. Heath's ideal holiday is spent on horseback at Waverley, admiring his magnificent herd. to George), Jamie Roebuck (King Island Operations Manager), and the late Michael Crouch AC (Waverley Station Founder). We are fortunate to have such an incredible team of cattle industry professionals working within the Waverley operation. The country in which we run our Angus cattle is extremely diverse, so our people need to be able to adapt to ever-changing climatic, seasonal and market conditions and we achieve this with our constant focus towards teamwork and communication across all properties. 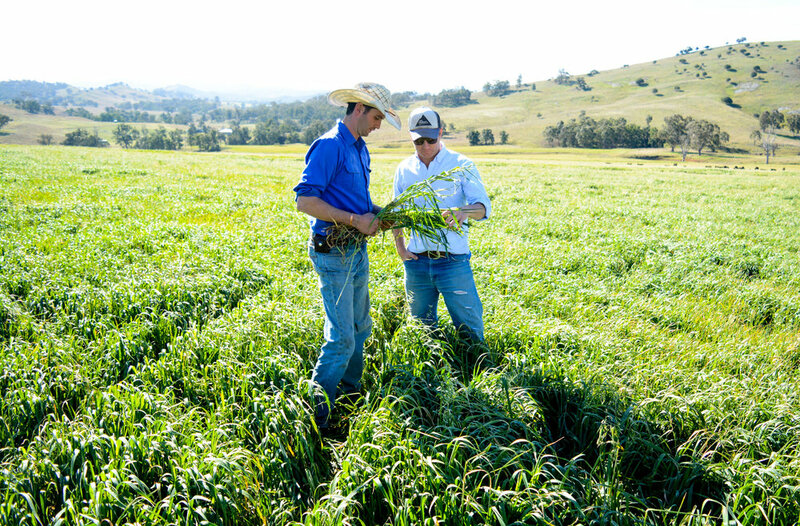 We all bring something unique to the table when it comes to producing premium grass-fed Angus - and our willingness to share that knowledge across the business is what makes the team at Waverley so successful. Want to find out more about Waverley Station? Then take a look at our new video which introduces you to our properties, our people and the philosophy behind our business. Featuring stunning footage of both our Scone and King Island properties - including some incredible drone footage - and interviews with George, Jamie and Heath, we hope it gives you a sense of what we’re about and the quality of the cattle we produce.